I took this photo a couple of years ago. I like it because I really appreciate trees. I enjoy looking at how they grown amongst each other. The Oak tree is a dark bark whereas the birch tree is white with sections of striped black. As we know trees are important for keeping erosion at bay. Plus, we also know that carbon dioxide is absorbed by the tree and produce oxygen for our benefit to breathe and the world too. I like the angle that these trees have taken in an effort to continue to grow. 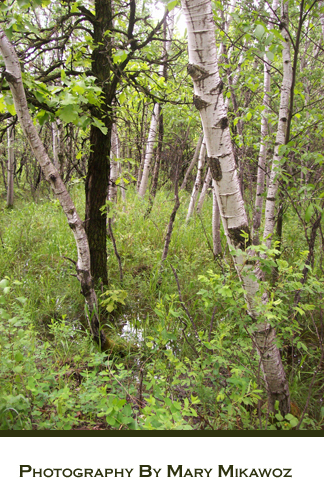 This photo was taken at Assiniboine Forest in Winnipeg.